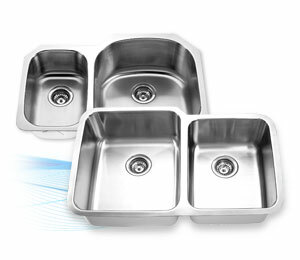 Whether it's double bowl, single bowl, undermount or topmount, Mainline offers stainless steel sinks with great features that really keep water in its place. 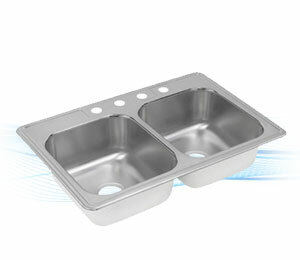 Mainline's 18 gauge spacious double bowl undermount sinks are the perfect complement to any kitchen. Upscale styling commands attention while living in harmony with today's countertops. 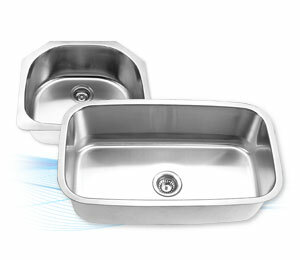 Mainline's 20-23 gauge stainless steel top mount sink featuring ample double bowl design, is crafted with rigorous attention to detail. 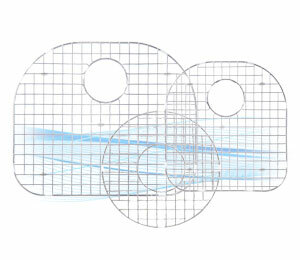 Our traditional curves and refined lines elevate the styling of any kitchen. Get inspired with Mainline's single bowl undermount sink, offering the geometric design lines of a commercial kitchen and the contemporary twist of stainless steel. Our 20-23 gauge top mount, stainless steel single bowl sinks offer the sleek styling of stainless steel, bringing in elegance, every day. 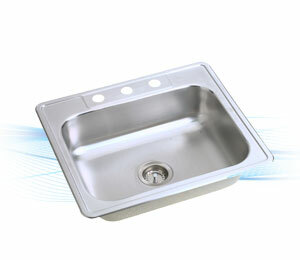 Protect your stainless steel kitchen sink from scratches and stains with a rugged sink grid to fit any Mainline model.